The most common thing in the world is to wish to be special. That seems to apply ever more for car owners that aim to stand out in the crowd. Yet going for the increasingly common Yas Marina Blue color might be the wrong approach. 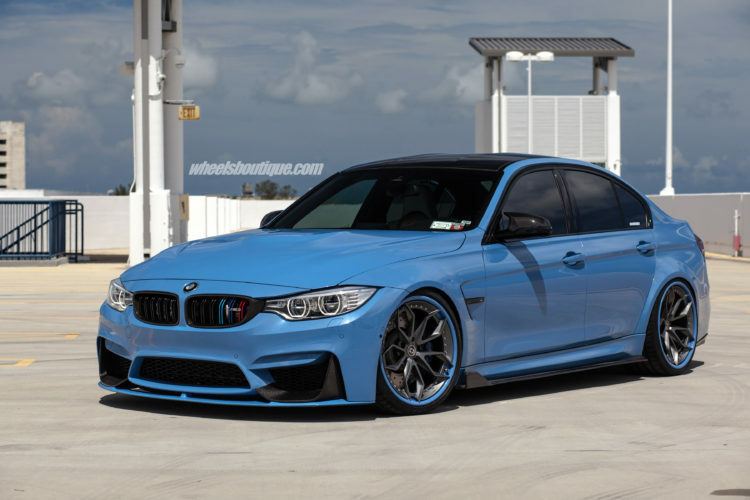 However, Yas Marina Blue remains a beautiful color and with the right additions can pop and stand out even more. 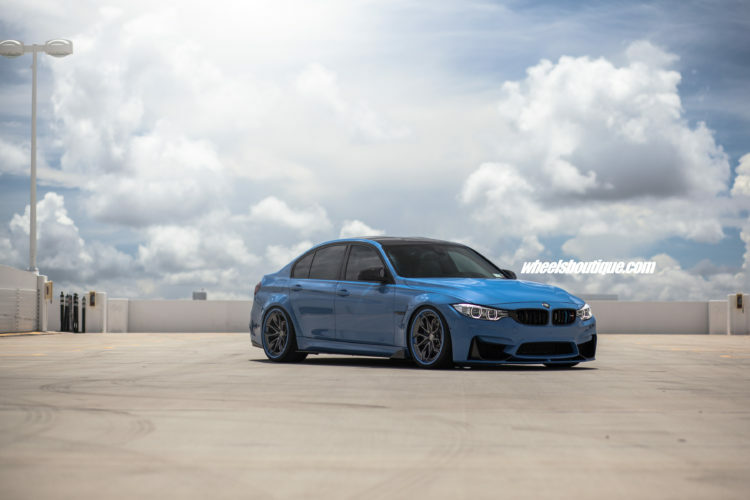 The owner of this F80 M3 launched his tuning project with a wheels swap and carbon fiber add-ons. His car received an EVO front add-on spoiler as well as new side skirts, and a new VRS GTS rear diffuser for the exhaust tips, all made out of carbon fiber. A subtle spoiler shows up on the boot lid as well for an almost complete aero package. La piece de resistance is elsewhere though – under the wheel arches. This is where you’ll find the HRE S201 wheels with their matching Yas Marina Blue lips and Satin Charcoal Centers. Measuring 20×10 inches up front and 20×11 inches round the back, these custom wheels have completely changed the look of the car. Sitting on an aftermarket suspension setup, the M3 is now just right – even flush, as some would say. As for the engine, the specs are standard, but this beauty isn’t all about running fast but mostly about looking good while cruising around. And at that, it will excel.